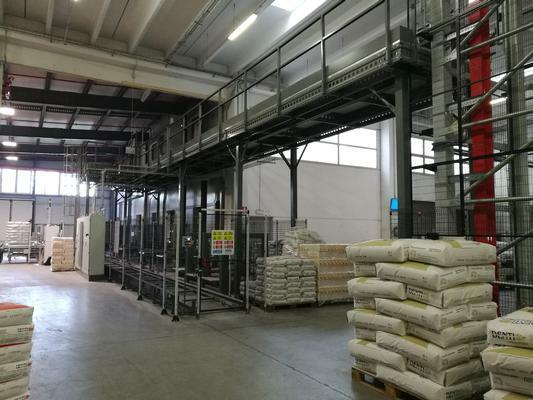 Ferretto Group was hired by Industria Molitoria Denti to design an automatic pallet racking system that streamlines order fulfilment and positively impacts the company`s growth. Ferretto Group has strengthened its experience in the milling sector by developing a fully automated pallet racking system for Industria Molitoria Denti, a leading flour products manufacturer operating in the milling industry for over 3 generations now. The system developed by Ferretto Group successfully addressed major challenges that Industria Molitoria Denti and companies in this sector constantly face when trying to maximize storage capacity, establish real-time inventory and improve traceability of the goods. Ferretto Group accepted this ambitious challenge, designing and creating a self-supporting automatic pallet storage system suitable for storing and handling up to 2,488 unit loads. The system is conceived to link production and shipment by means of two stacker cranes which feature forks that pick the pallets stored on industrial racking with nine double-depth load levels. 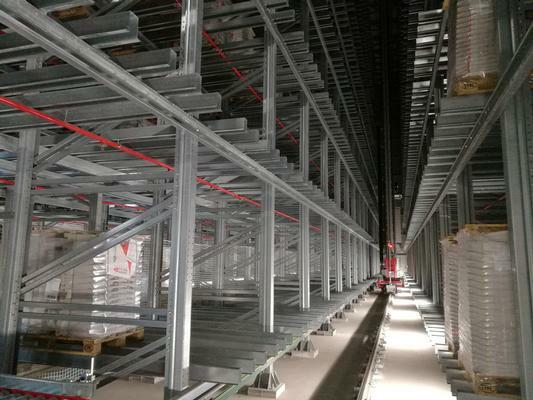 The project is completed by roller conveyors positioned on an overhead mezzanine floor to transport incoming goods and a Fast-ring shuttle to manage the ready to ship pallets leaving the system. Special attention was paid to safety and fire protection during the design phase. The entire perimeter of the structure is covered with special fireproof panels, while four electronically - and pneumatically -operated domes allow for natural ventilation and smoke evacuation in the unlikely event of a fire. 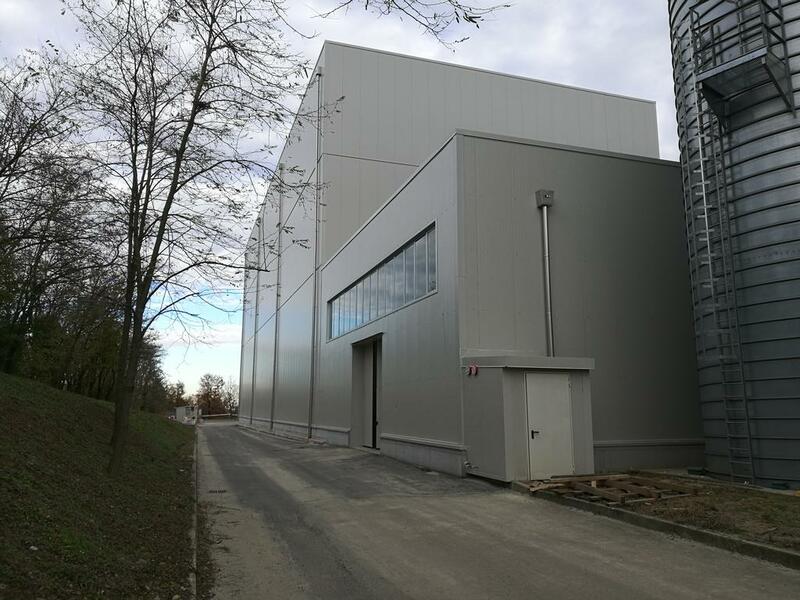 By implementing this high-density AS/RS, Industria Molitoria Denti was able to store more finished products in the same amount of space and maximizing their storage value. Consequently, the seamless integration with the warehouse management system has offered a more accurate track and control of both incoming and outgoing goods, considerably reducing picking and storage errors. As a result, the company has significantly optimized time to market and increased the overall production capability, two key factors to support the company’s growth for the years to come. For more information on the Ferretto Group’s Automated solutions, visit our website.